If you are a seller of digital goods and services, you would probably wondering about the new European VAT rules that came into effect from January 1, 2015. Since the rules are a bit of pain, we have come up with a simplified guide which will help you implement the new rules easily in your J2Store joomla shopping cart. if the company sells to any countries in the EU, they will have to charge VAT in the country of the buyer instead of the seller. 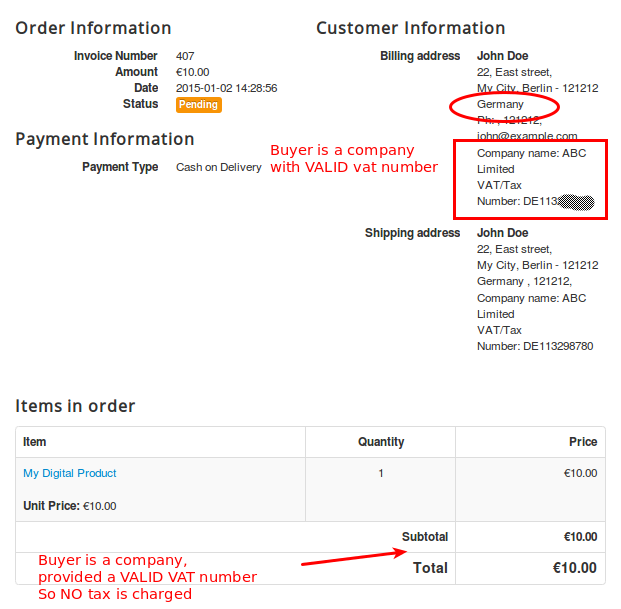 if the buyer of the digital goods is a company (with a valid VAT number), there is a 0 percent VAT charge. 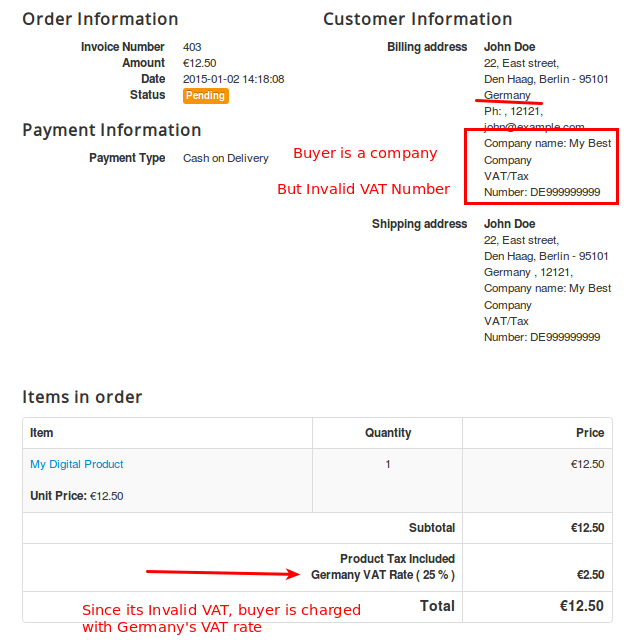 if the buyer of the digital goods is a company without a VAT number or has an incorrect VAT number, then VAT of the country of the buyer must be charged. if the company sells digital goods to companies or individuals in their own country, local VAT needs to be charged. First, we should define the geozone and tax rates for the home country, that is the country in which your shop is located. 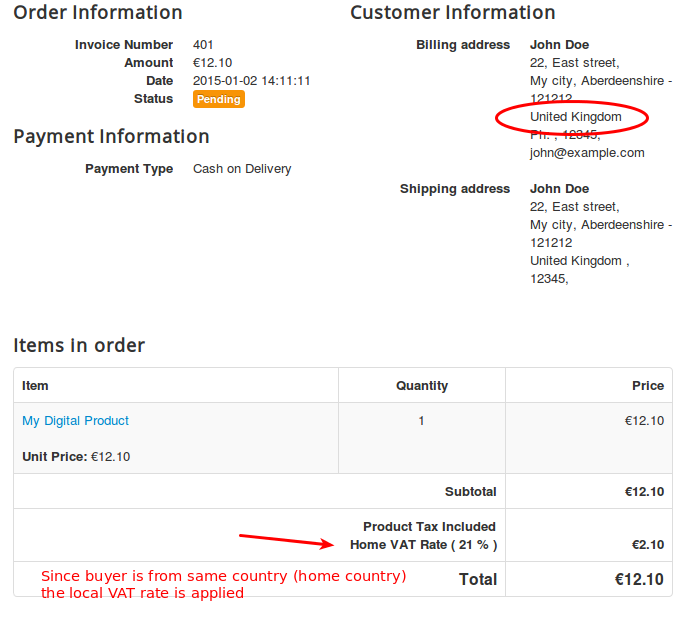 A few countries might have same VAT rate for the digital goods. You can group them under one geozone. For this example, I am going to stick with one EU country, that is Germany. It is sufficient to set up ONE tax profile for digital goods, in which we can associate many tax rates. 4.1. 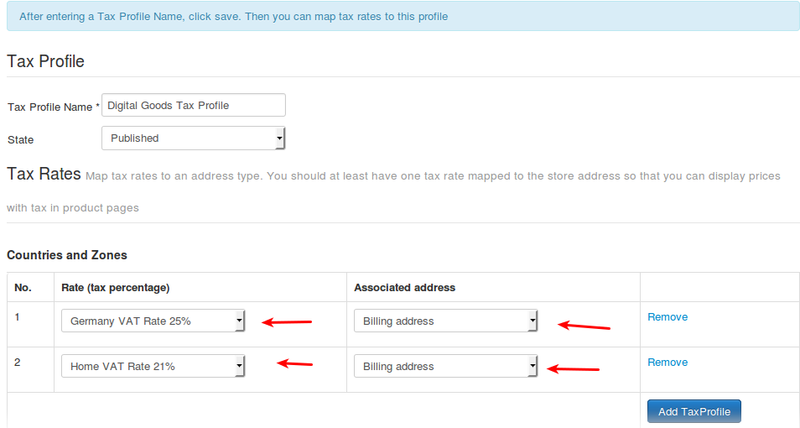 Choose Home VAT Rate 21 % and choose Billing Address as the Associated Address. 4.2. 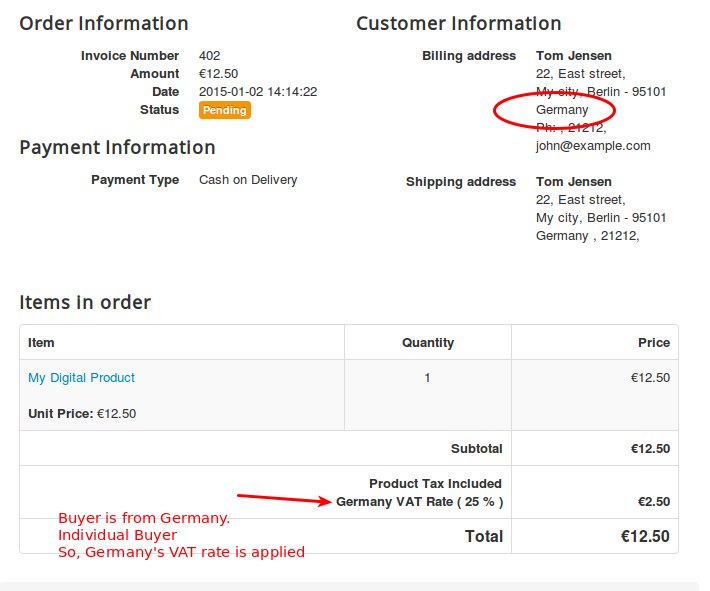 Choose the Germany VAT Rate 25 % and choose Billing Address as the Associated Address. 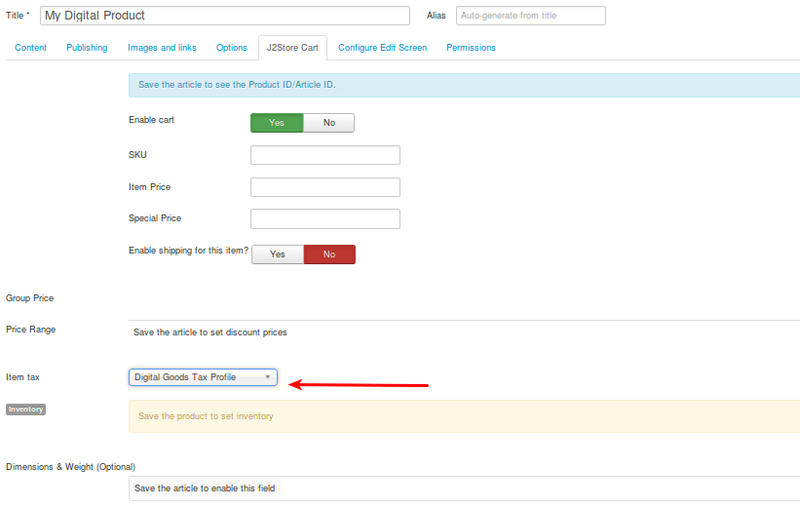 J2Store uses native Joomla articles as products. So go ahead and create a product. Go to Joomla admin – Article Manager – New or open your digital product. In J2Store Tab → Item Tax , Choose Digital Goods Tax Profile. Fill in other relevant fields for your product and save. Our shop is located in United Kingdom. And the buyer is from the same country. So local tax of 21 percent applies. The customer is from Germany. He has entered a company name. But his VAT number is INVALID. So we apply the Germany's VAT rate of 25 %. The customer is from Germany. His VAT number is VALID. So NO tax is applied. If you have any questions or suggestions, please post in the ticket system.